Defendants can be charged with identity theft crimes by the state or by the federal government. Generally, identity theft consists of using someone’s personal identifying information to obtain such financial gain. Common examples include using the information of someone else to gain access to credit cards, bank accounts, and retirement contacts. It also includes using personal identifying information to gain access to email accounts, social media accounts, and medical records. 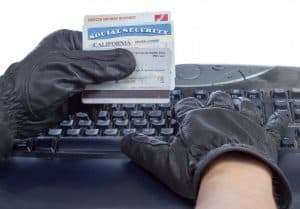 Identity theft includes buying, possessing or using somebody’s personal identification information without their consent for the purpose of an unlawful act. People can also be charged with identity theft trafficking which is selling or transferring personal identification information (PII) with the reasonable understanding the recipient will use the PII for some unlawful act. Conviction for identity theft can include substantial jail time, fines and penalties, loss of reputation, loss of a job, seizure of assets, and the requirement to respond to civil lawsuits. As with all criminal cases, the burden is on the prosecution to prove its case beyond a reasonable doubt. The prosecution must respect a defendant’s US and Tennessee Constitutional rights. The person in possession of the PII had authority to access the information – such as through the Fair Credit Reporting Act or other laws. The person whose information the defendant took gave the defendant consent to use that information – such as through a power of attorney. Many consumers often consent to let businesses acquire PII for specific purposes. Identity theft crimes may also be graded by the value of the information seized. Experienced criminal defense lawyers will argue the value was minimal or not large enough to match the charges. Other technical defenses to the criminal statutes on identity theft and identity theft tracking may also apply. The earlier you speak with an experienced Franklin criminal defense lawyer the better. A respected defense lawyer speaks for the defendant. The attorney represents the client at the arraignment, preliminary hearing, during motions, and at the trial. Our highly respected lawyers challenge every aspect of the prosecution’s case. We aggressively fight for dismissals and acquittals. We negotiate plea agreements that benefit our clients. The Law Offices if Adrian H. Altshuler & Associates, represents defendants who live in Columbia, Franklin or Brentwood. For strong help, please call us at 615.412.1121, or fill out our contact form.